Having first met in 2007, Hicks and Goulbourn are now an established act on the folk and acoustic music scene in the UK. If you’ve been to one of their gigs you will have been struck by their easy manner on stage, an amazing array of genres, Lynn’s pure vocals and of course Steve’s breathtaking guitar playing, but how did they arrive at this point? Steve is drawn to instrumental music and, as he calls, it ‘strangely beautiful, weird and difficult stuff’. In a recent interview somebody asked him who his favourite or most influential artists were and the list included Moondog, Dusan Bogdanovic, Eric Dolphy, Kronos Quartet, Harry Partch and Alan Hovhaness. In contrast, Lynn was drawn at an early age to the smooth harmonies of Crosby Stills and Nash and The Beach Boys and the melodic tones of James Taylor and Joni Mitchell, the sound of Motown, Stevie Wonder and Diana Ross. Later influences included Steeleye Span, June Tabor, Annie Lennox and Indigo Girls. 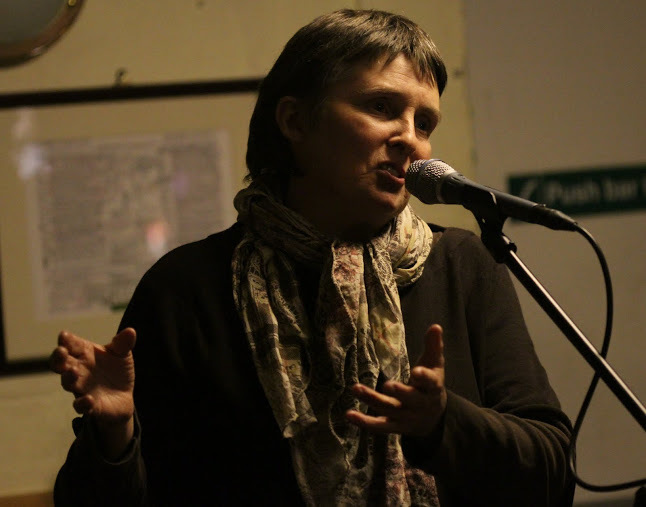 Whilst Lynn has had no formal training, singing has been a passion throughout her life and more recently she has enjoyed attending vocal and challenging harmony workshops in Cumbria and Shropshire, led and inspired by Maddy Prior and Abbie Lathe. Steve was 13 when he started playing guitar. Motivated by his dad’s promise of a decent guitar, Steve agreed to take lessons. Early tuition was in the classical genre and then later, he studied fingerstyle jazz guitar with Duck Baker. Nowadays you could expect to hear Steve, seemingly effortlessly, play classic ragtime, swing jazz, blues, Celtic, early and modern classical pieces … all with an ease that will leave you spellbound! 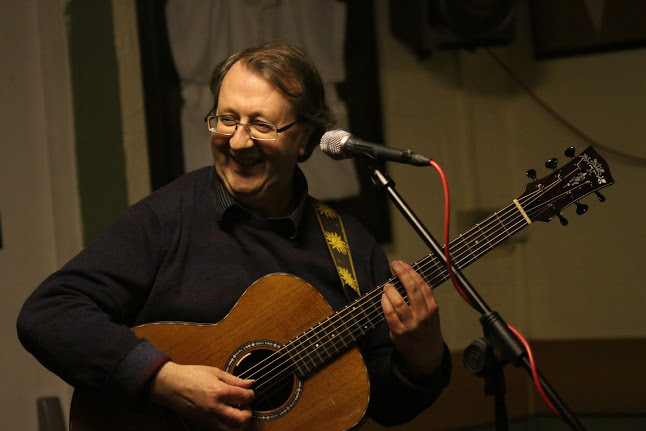 To date Steve has played guitar in a number of musical environments including folk groups, guitar duos, and ceilidh bands. He has given guitar playing workshops and masterclasses at venues including the Stamford International Guitar Festival and the Old Town School of Folk Music, Chicago. As a solo artist Steve records for Acoustic Music Records. He is also a qualified luthier specialising in early and modern fretted instruments. Hicks and Goulbourn perform and record with guitars built by Steve. The music that Steve and Lynn make as the duo ‘Hicks and Goulbourn’ is characterised by pure acoustic tones, reflective lyrics, well crafted arrangements and intricate, complex guitar work. Whilst the genres in their typical sets are wide ranging there is no compromise in quality and their live performances are interspersed with engaging anecdotes and humour.